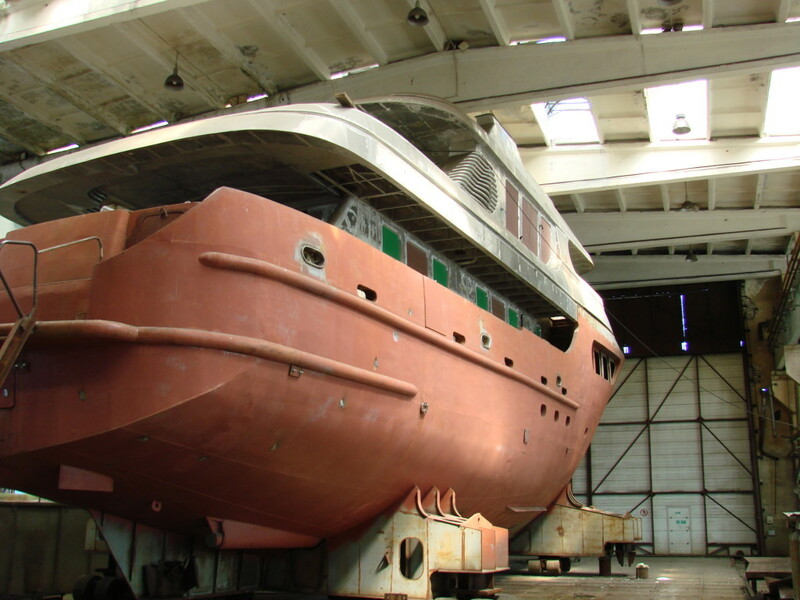 We can offer for a sale a 26.5 meter yacht, steel hull and aluminium superstructure, that is about 90% complete. Mountings for the main engines and generators are installed as are the stern tubes. In storage are the main engines and gear boxes, the generators, stabilisers, thruster and air conditioning systems. Built under DNV GL supervision. Keen to sell so please email jhughes@hugheship.com to register your interest.